About 1.25 deg. northeast of M8 (Lagoon Nebula) in the constellation of Sagittarius about 4,000 light years distant, lies a complex emission/reflection region dominated by IC 4685; the bright region in the lower portion of my image above. North is up/right and East is left/up. The image size is 34.5 x 34.5 arcmin. The bright, bulbous emission regions toward the top of the image are IC 1274 and IC 1275, and between those is the dark cloud (B91). H-a and OIII narrowband data were taken to bring out detail in the emission nebulae, and deep broadband blue data were added to better capture the blue reflection components. Shorter RGB exposures were also added for star colors. 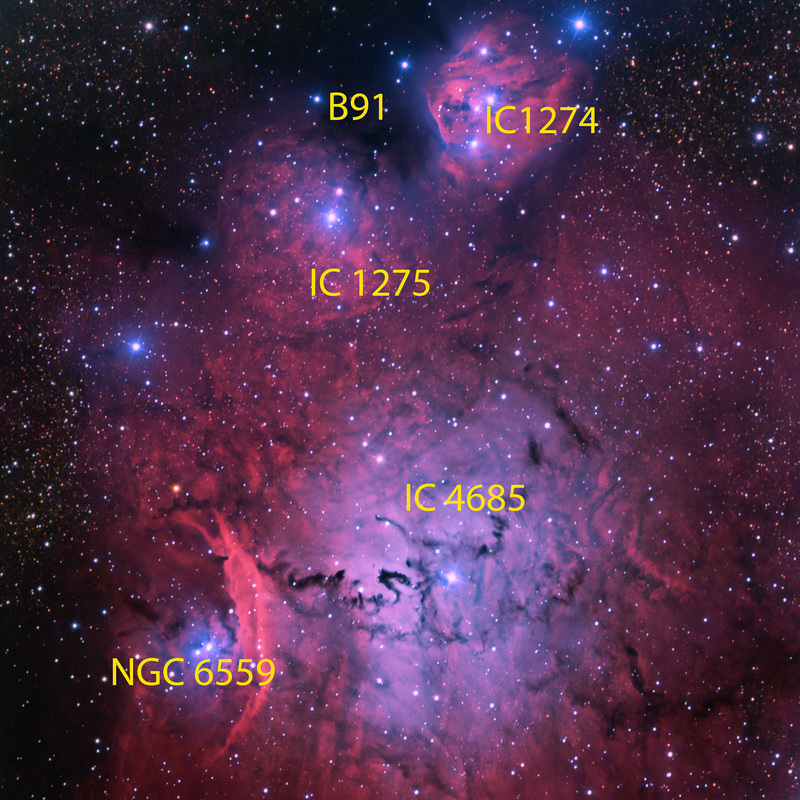 The RA/DEC coordinates provided are for the center of the image, and not for IC 4685. An annotated image is presented below.